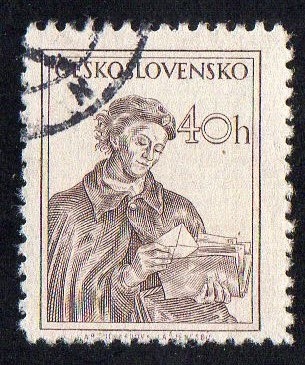 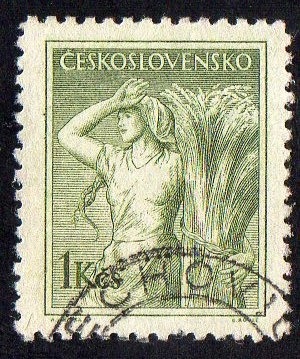 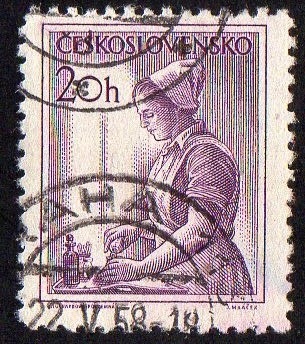 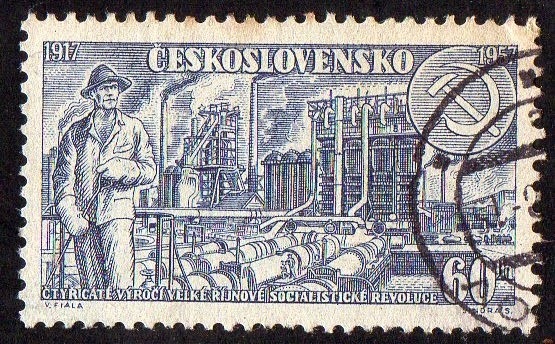 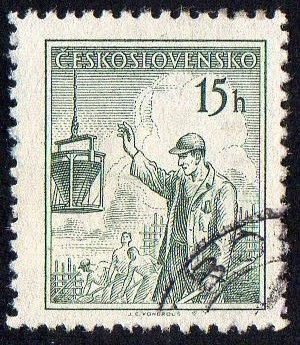 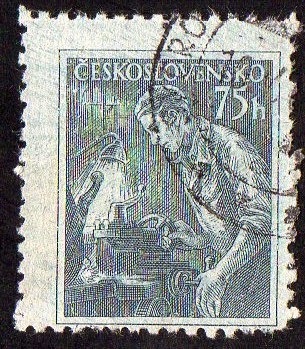 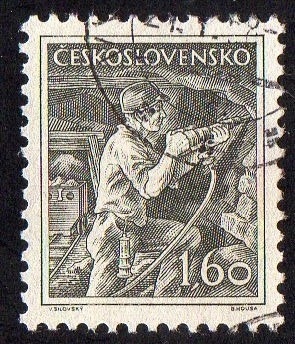 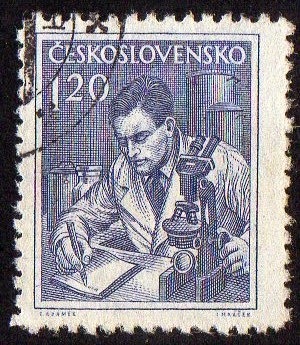 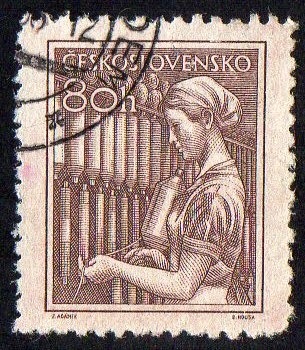 These are stamps from the series (13) 1954 "Professions"
Currently , there are many InterNet sites ,Study's , International Philatelic Club's and articles dedicated to Czechoslovakia Philately.. it only show us the great vitality and the constant renewal of the number of Fans... there is a large quantity of stamps available at a low or very low price , what make's it even more appealing..
[Left] sport stamp from a series (3) 1956 "Sport Events 1956" ; these particular stamp show us the 'International Peace Marathon , Kosice 1956'. 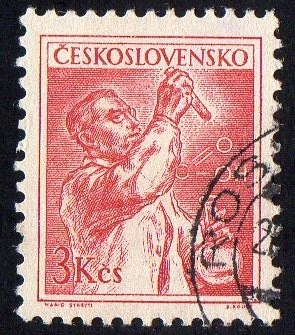 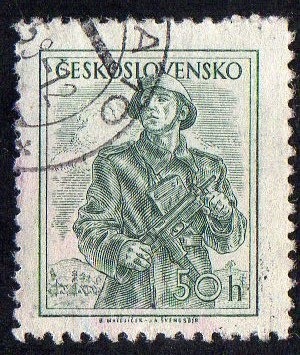 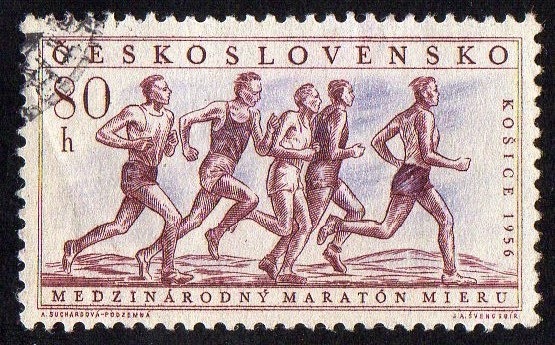 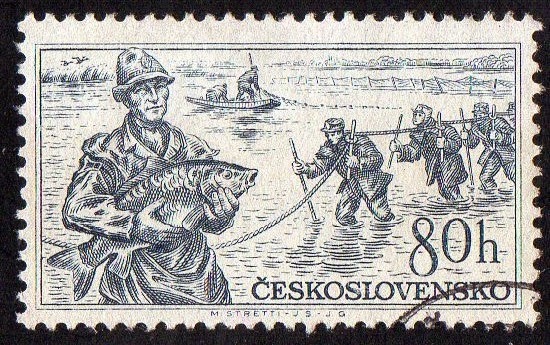 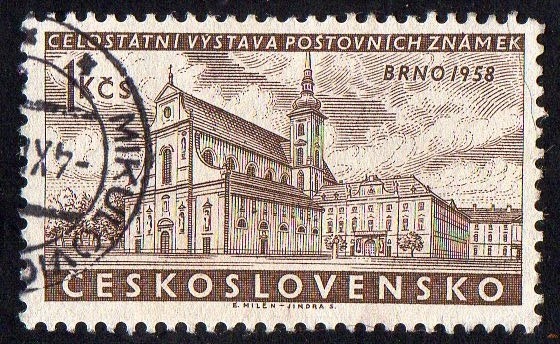 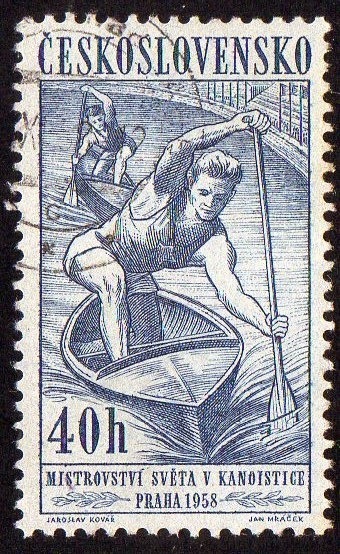 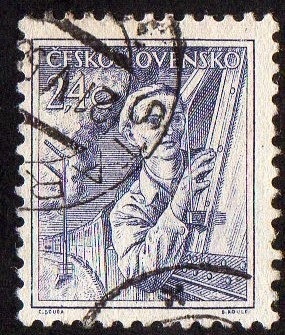 [Right] Another sport stamp from the series (5) 1958 "Sport Events 1958" ; it show us the 'World Canoeing Championships Prague 1958'. 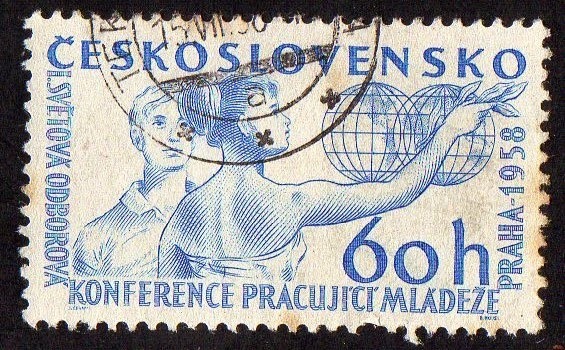 stamp from a series (2) 1957 "40th Anniv of Russian Revolution"
[Left] stamp from a (3) series 1958 "Political and Cultural Events" ; represents the '1st World Trade Union Conference of Working Youth, Prague 1958'..
[Right] from a series (4) 1956 "National Products"
series (4) 1958 "National Stamp Exn, Brno" ; the stamp represents the St. Thomas Church..
stamps dedicated to another of the Development Plans ; from a series (5) 1960 " 3rd Five Year Plan (1st issue)"
series (5) 1958 "Czech Spas (2nd series)"